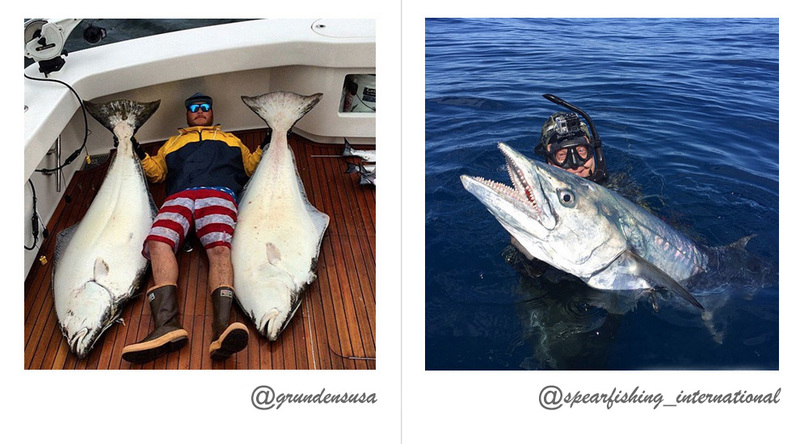 A proud angler snuggles up with a couple of trophy flatfish in this shot by Grundens, while another goes deep to spear the massive mackerel seen in this photo posted by Spearfishing International. Time to make bait! While Ozzy Delgado has a tray of billfish candy locked and loaded, George Poveromo rigs up something a little more unorthodox. 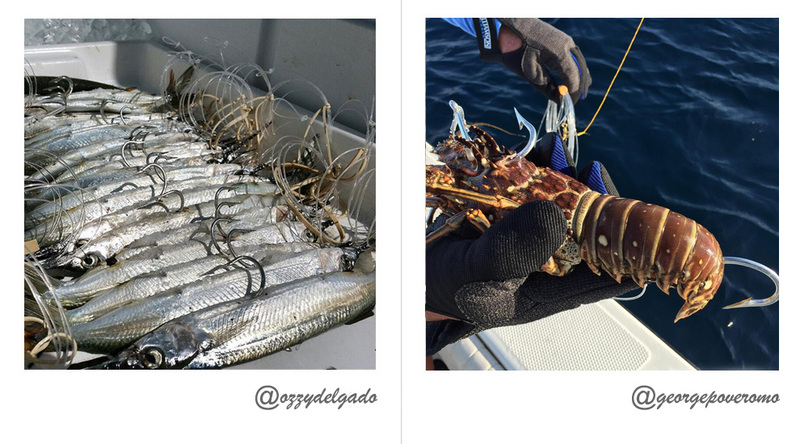 SoCal angler Joe Sarmiento shows us that nothing is safe from the man in the gray suit. 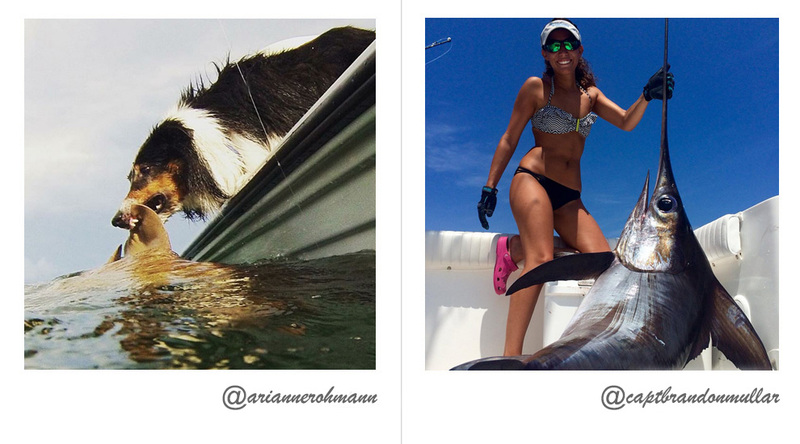 This feisty young marlin released by Sawyer fared a little better. Peter Miller handles a toothy customer, while Jimmy Nelson went fishing with an angler that is apparently missing a thumb. A trophy mahi shows off some tasty colors in this shot by Jimmy Nelson Fishing. Meanwhile, a FishTrack member shared this photo from his vacation at scenic Transom Falls. 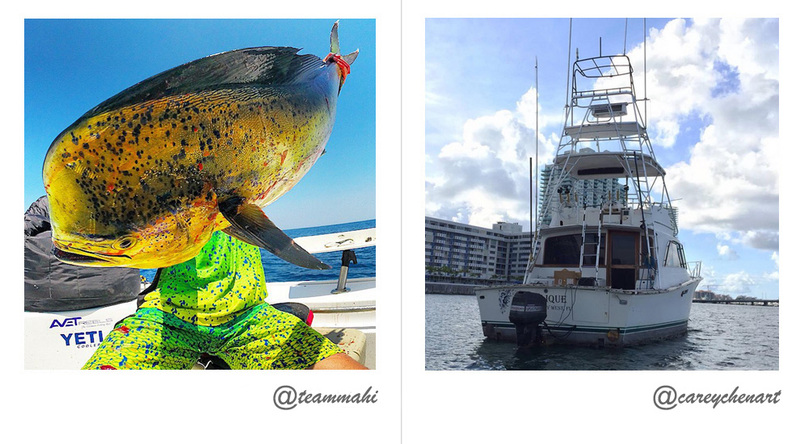 It's hard to tell where the fish ends and the fisherman begins in this photo by TEAMMAHI. 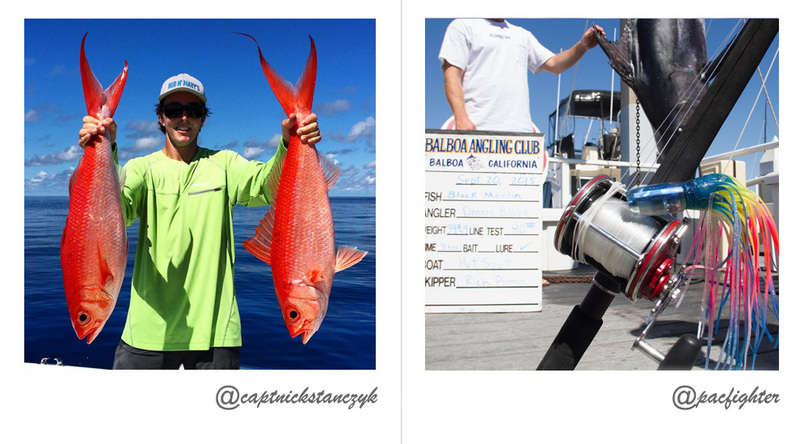 Carey Chen shares an image of the latest fuel-efficient, outboard-powered sport-fisher. Drop it! Ol' Rusty hasn't quite sunk his teeth into the trend of catch-and-release fishing, photo by Arianne Rohmann. 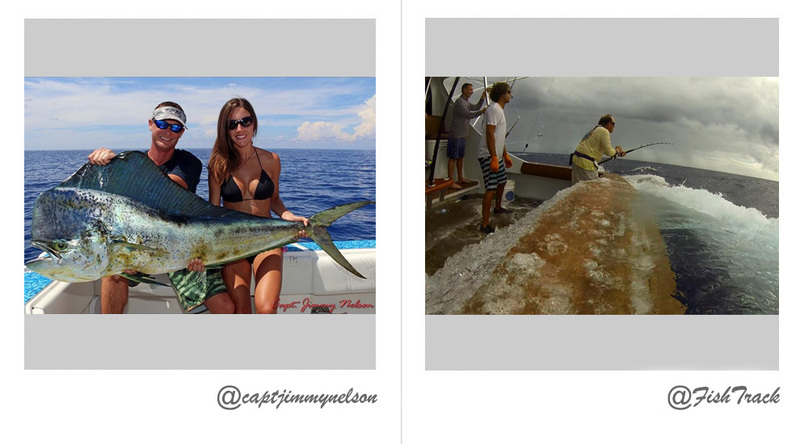 Meanwhile, Brandon Mullar shares a photo of a future swordfish dinner. 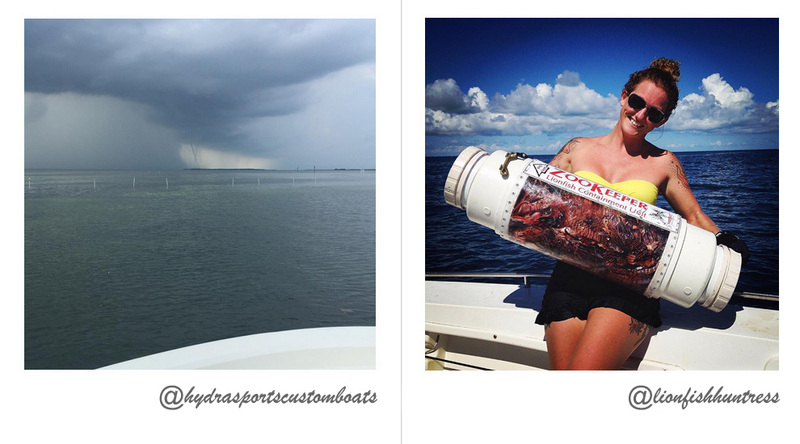 Even in a go-fast HydraSports, you might want to double-check the marine forecast before heading out. Lionfish are toxic waste to our local reefs, but Rachel Bowman has them safely contained. 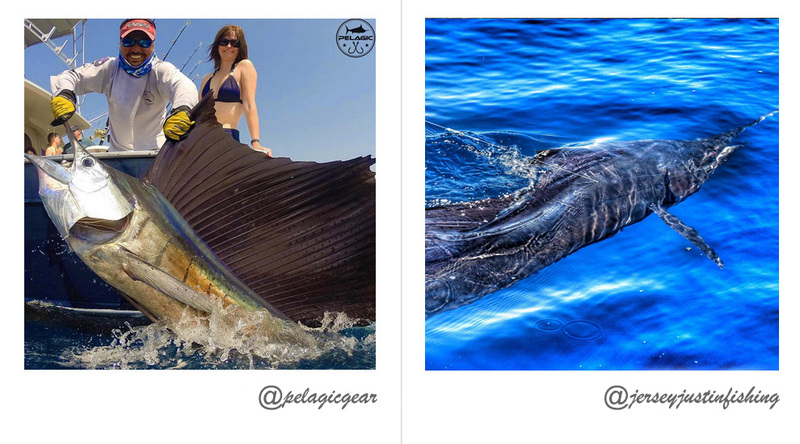 Al McGlashan and Carol Lynne capture a couple of high-flying marlin and remind us why we watch the spread for hours. 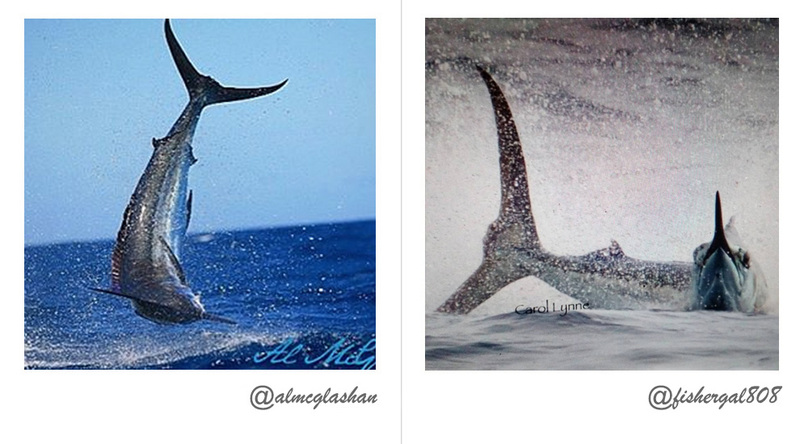 One more massive Guatemala sail comes to the boat for Brad Philipps in a photo shared by Pelagic. Justin Suarez scores a killer photo of another sail attempting a getaway. 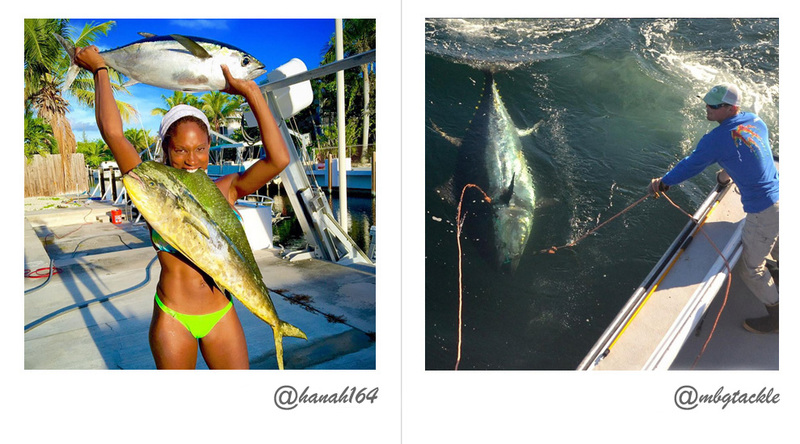 Hannah Aldoroty shows off her South Florida bounty, while Capt. 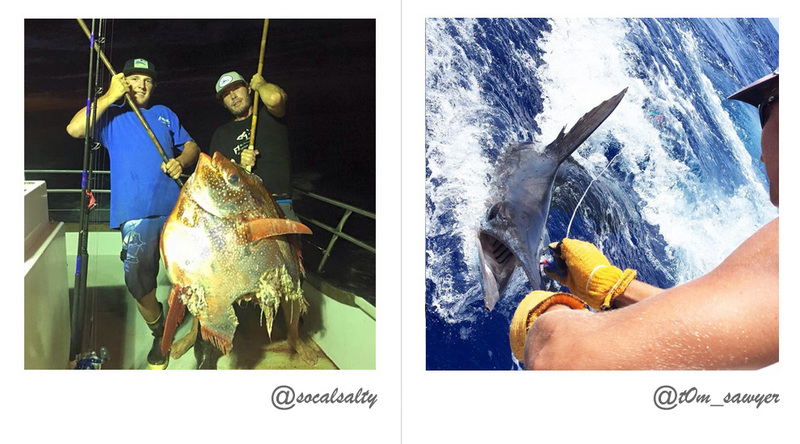 Bryan Sears tames a giant tuna off Prince Edward Island. Pests Unite! 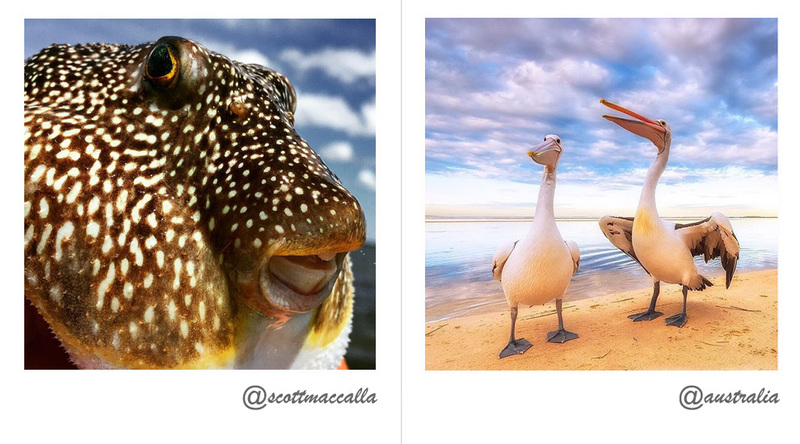 Scott MacCalla scores a glamour shot of a flats fisherman's least favorite, while these two beggars posted by Australia Tourism are certainly going to ask for some sort of handout. 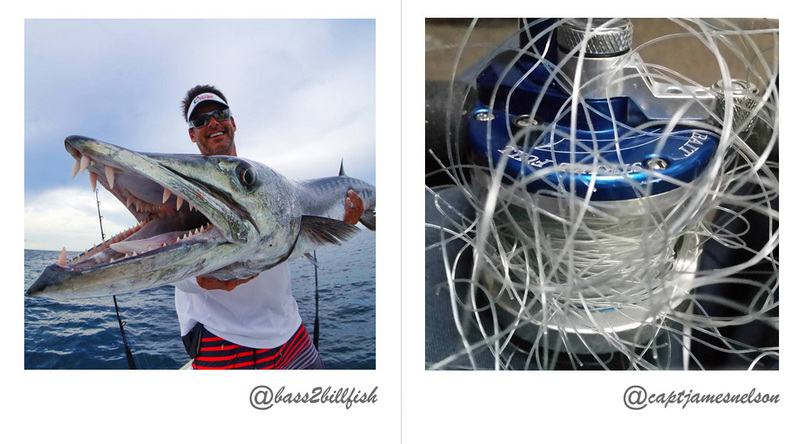 Nick Stanczyk poses with a couple of very nice queen snapper pulled off the rocks in Islamorada, while Ryan Griffin gives us a glimpse of the gear used to tame the first black marlin landed in Southern California in quite some time. 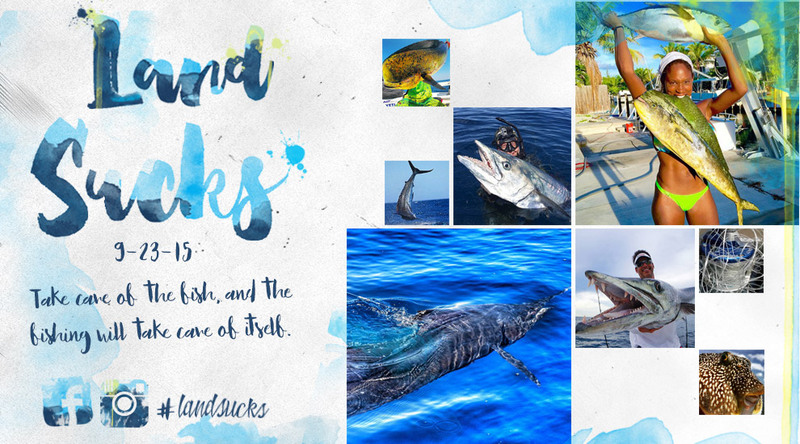 If you want to get in on the action, be sure to follow FishTrack on Facebook and Instagram, and be sure to tag your best shots #landsucks.